Content marketing enables marketers to build a targeted, engaged audience over time, rather than using advertising to rent eyeballs when the need arises. By continually publishing the information prospects and customers seek regardless of whether your business is a B2C, B2B, not-for-profit or solopreneur, your ability to convert prospects gets increasingly easier due to content marketing’s effectiveness and cost-efficiency. Don’t take my word for it–examine the data. Here are three eye opening datapoints to convince you. 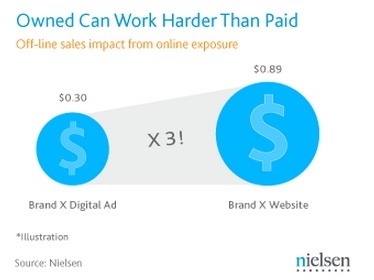 Content marketing drives three times the sales of digital advertising based on Nielsen data. This finding makes sense since branded websites including blogs are trusted by about three-fifths of respondents while search advertising is only trusted by two-fifths of respondents and other digital advertising formats are less trusted than paid search. Content marketing’s cost per lead drops 80% after the first five months according to Kapost and Eloqua. This finding is consistent with Hubspot’s blogging research which showed that blogging two to three times a week gains most of the impact in acquiring customers. Further, fifty posts are an inflection point causing traffic to increase. 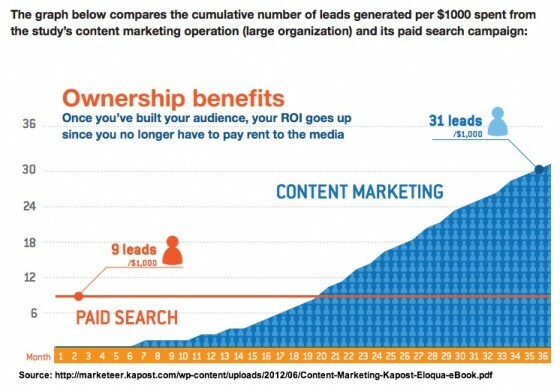 Content marketing’s leads generated per $1,000 of marketing spend passes leads paid search generated per $1,000 of marketing spend after nineteen months. 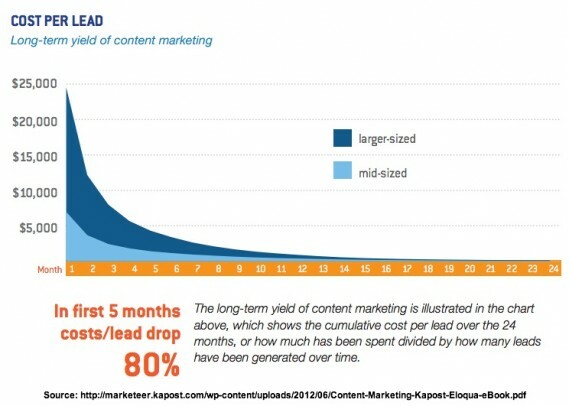 Further, content marketing leads generated per $1,000 of marketing spend is three times greater after three years (or thirty-six months). With added search optimization and social media benefits to augment the drop in marketing cost discussed above, it makes sense that the marketing cost would decrease at a faster rate. Here are seven elements that make content marketing more effective and related actionable marketing tips to help you improve your content marketing. Provides trust. Content marketing provides valuable information that builds trust. 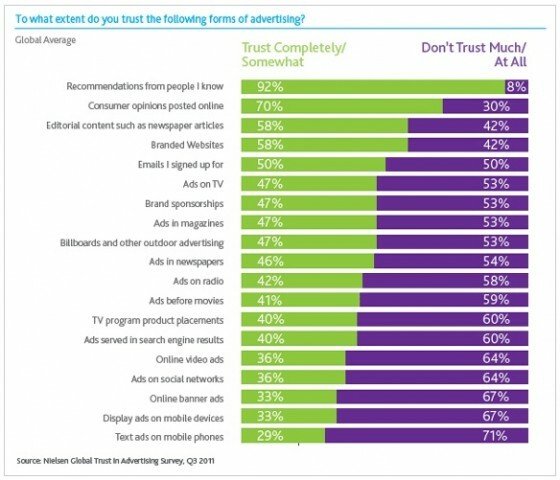 Over 70% of consumers don’t trust a brand that doesn’t provide promotion-free information according to research by About.com and Latitude research. Actionable Content Marketing Tip: Skip the marketing promotion in your content marketing. When you have a promotion, create a targeted marketing communication. Supplies in-depth product information. Customers seek product information across a variety of formats including information, how-tos, styling and expert advice based on research by Shopping.org, comScore and the Partnering Group. Actionable Content Marketing Tip: Make sure that your content marketing is effectively interconnected so that prospects can move from information about your product to how-to put your product together and other styling related content. Further, don’t forget to link to your product page so they can buy if they’re ready. 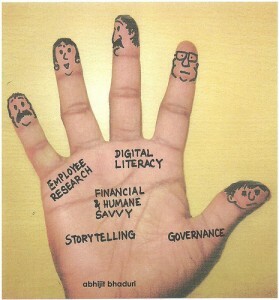 Creates context for your brand and products. With the shift to digital devices where roughly 90% of content is consumed, it’s important to consider the type of device (computer, smartphone or tablet) where your content will be viewed and where your reader will be when they seek and read it. 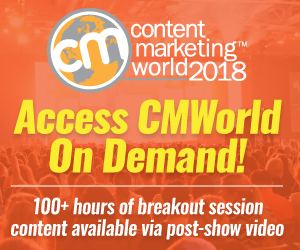 Actionable Content Marketing Tip: Assess prospects’ content needs based on where they are when they seek your content to ensure that your content meets their needs in terms of format and length. If a customer is doing research while waiting for someone, it’s not the time to expect them to read your five page white paper. Answers customer questions. Until you answer all of your prospects’ questions, you won’t be able to close the sale. Content marketing, particularly blogs, are highly efficient vehicles to do this. (Check Blogging: The Secret Sauce.) Actionable Content Marketing Tip: Compile a list of all of your prospects and customers questions. Then put them into an order and answer each one in your blog. Presents ratings and reviews. Customers value the opinion of other customers. If they don’t find them on your website, they’ll look for them elsewhere. Actionable Content Marketing Tip: Understand that customer reviews can qualify products that may not seem positive to you but attract other customers. For example, “There are too many children at this restaurant” will make it the perfect choice for a family. While you need to allow both positive and negative comments to remain on your site, it’s critical to respond quickly to problems customers have. Supports search optimization. This is particularly true if your content mix includes a blog. Therefore, focus each piece on one set of keyword phrases. Also, where appropriate, include links to other parts of your content as well as links out to other resources. Actionable Content Marketing Tip: Don’t forget to optimize other content formats than text. This is particularly important for photographs and images. Supplies social proof. Including social sharing to ensure that you maximize your reach. Further, it’s one way of letting new visitors know what content is most valuable. Actionable Content Marketing Tip: Don’t forget to share your content across major social media networks. Content marketing is three times more effective than digital advertising. As a result, it provides trust, product information, context for your brands, answers customer questions, presents ratings and reviews, supports search optimization and supplies social proof. Tags Actionable Marketing Tips, Kapost-Eloqua, Nielsen, Research. Bookmark the permalink. 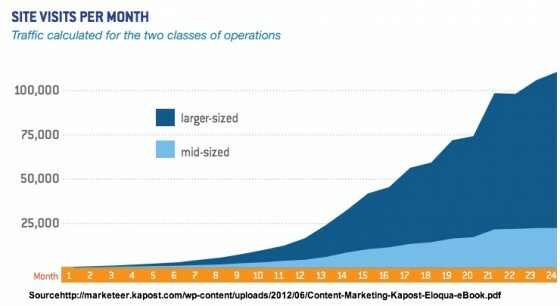 Powerful stats to support what we’re finding on the front line: content marketing is the part of your budget that works. Heidi, I’m such a believer in content marketing and “brands as publishers.” It makes so much sense. For an RV dealer client of mine, we started our own yearly (hopefully quarterly soon) magazine, rather than the usual brochure. Working like a charm! Plus every bit of that content can be used across multiple channels. Golden. 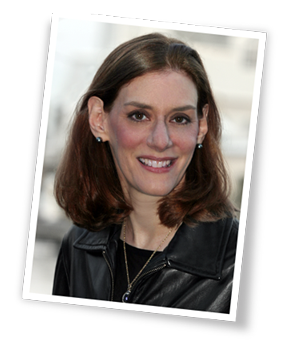 Hi Heidi – I love your blogs – another really informative blog – thanks. Have now subscribed to your blogs going forward …. thanks.